As I left church this morning my mind went scrolling through the items I needed to purchase at the grocery store on my way home. 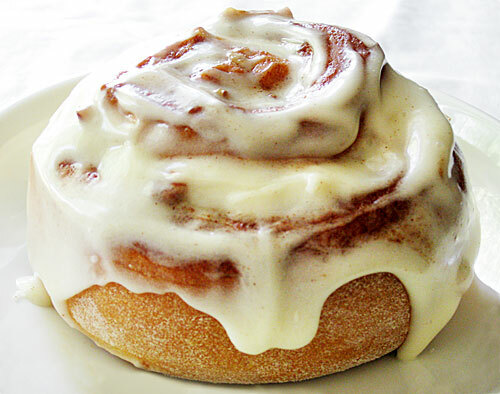 Suddenly the thought of a warm gooey cinnamon rolled popped into my head. I indulged in the thought for a moment and then released it knowing I did not “need” that today. Today I would buy healthy life giving foods. When I strolled into Publix a warm sweet smell filled my nostrils. Cinnamon mixed with pastry and cream cheese frosting. How did they know! The baker smiled at me in mockery knowing all too well she possessed great powers. My senses were overwhelmed and my flesh won the battle. As I type my flesh is satisfied and the taste of cinnamon lingers. You might ask why this is such a big deal but what you don’t know about me is that I am a lactaholic. What is a lactaholic? Honestly I made the word up but essentially it is a person addicted to food with lactose in it. Which by the way are most foods good and wonderful! About nine months ago I found out that I am lactose intolerant and let me tell you I am not a fan of the diagnosis. In fact you might say that I have been in denial for the majority of the last nine months. I recently wrote about letting go and briefly about the process of grieving. Often times the first step in the grieving process is denial. Many of us live there and refuse to move on. Several months ago I wrote a blog that I never posted and now I want to share parts of that blog. Truthfully I did not want to share that blog before but I realize my not posting it was part of my denial. I am often brutality honest with people I love; yet I struggle with being brutality honest towards myself. Thankfully God is faithful to put people like this in our lives to pull us out of the darkness and hopefully pray for us as we heal. While I sat with a wise woman confronting me about exercising my core, my mind began to think about how healthy I thought I was. I mean sure I could definitely lose some weight but I am also very serious about being active. On average I hike or walk 10-20 miles a week and I am always up for a good game of tennis. Surely she was mistaken, in fact as I put my hand on my belly all I could think about was how it felt rock solid. One day later I was carting around my friends ten-pound baby. After a really long fifteen minutes I noticed my stomach and back muscles began to ache. For a moment I thought that maybe my core does need some work. Moms of babies you must have awesome cores! While this small revelation began to simmer the heat was turned up. Later that week I decided to test my docs diagnosis regarding being lactose intolerant. No more ice cream, no more cheese, and no more butter based products. The experiment lasted a week producing new revelations. To my amazement my stomach stopped hurting, I had more energy, and what I thought was some serious abs turned out to be gas. Yep, apparently when lactose intolerant people eat dairy they get “the bloat.” I was so bloated I thought my stomach was rippled with muscles. Now all that is left is some lumpy rolls of flesh. Denial exposed. So back to the wise woman and her suggestion to work out my core! Since these revelations I have begun a core exercise routine and have doubled my baby carrying capacity. Yet I still struggle with denial around my dairy intake. As this is month nine I am praying that I will soon give birth to a new season of letting go of dairy. I am not there yet but I am on my way. The are many things that we put under the rug of consciousness. I don’t know what addiction, idea, thing, or person you are hesitant to let go of. But I wonder if you would be open to inviting others to help you see the truth. Having wise and honest friends, mentors, and counselors in our lives will prevent us from being stagnant in the grieving process. Thank you so much I am glad you enjoyed it and I pray that you are blessed!